We are passionate about seeing the Kingdom of God come and the church being all she is called to be. We relish time with our family, enjoy watching movies, love to travel and have friends in our home. We are navigating the Kingdom in church, the marketplace, and in our busy home with five kids. Nici has moved from teaching in the classroom to being a passionate Mom. Mark is an entrepreneur with a passion to mobilise the priesthood through leadership and the prophetic architecture that redefines community. He is our pursuit, our passion, our prize. We want to be radical for Him - withholding nothing and giving everything - because He alone is worthy of it all! We pursue authentic, honest relationships where people are free to be themselves. We celebrate each other in our successes and protect each other in our weaknesses. We will give every bit of ourselves to see others fulfill God’s call upon their lives. We want to change the world we live, both near & far. We are “Ordinary Radicals,” compelled by love and empowered by the Holy Spirit to partner with God in His mission to love and reconcile a lost and broken world back to Himself. Every believer is a missionary - where we live, where we work, where we walk - is our harvest field! Our desire is to serve and meaningfully impact our city, our country, and the nations of the earth. 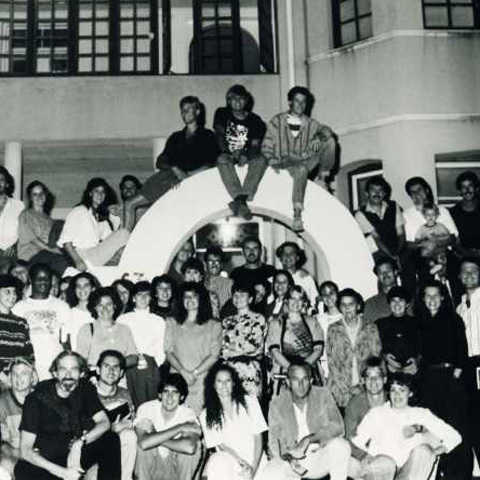 In 1982, from the remnant of a disbanded church called, “The Invisible Church,” Glenridge, named so because of the community’s impact in Glenwood and along “the Ridge” in Durban’s Berea, began with a young, high school teacher named Chris Wienand, who stepped forward to lead the people. Through friendship with the dynamic Dudley Daniel and the team who became New Covenant Ministries International (NCMI), apostolic and Biblical foundations were built into our DNA. The church flourished, growing in maturity and numbers, and moved from The Albany Hotel to Parkview School, then from Glenwood High School to the D.L.I. Hall. In 1998, we built our current venue on top of the Durban Station. From Chris and Meryl Wienand, Rory and Melanie Dyer, Ryan and Melissa Matthews, and currently Stan and Heather Phipps, Glenridge has a rich history of men and women who faithfully served and loved the Glenridge community. Many have pioneered from the ranks of this church across the globe – planting churches, supporting churches, and going wherever He sends for the sake of others. We have been blessed to be a blessing and would love you to be a part our next chapter.